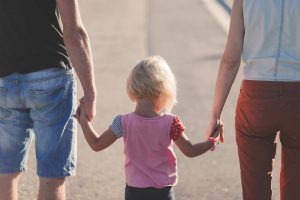 Home › Articles › Who comes first: Husband or children? Perhaps you’re one of those moms who say that their children come before their husbands on the priority list because they did not ask to be here, cannot fend for themselves, and the husband is old enough to take care of himself. However, is this attitude the best for your children and your marriage? It has been found that conjugal bliss dims after the birth of children. This decline is 42% higher in our generation than in the previous one. This happiness and satisfaction decline even more with the birth of every subsequent child. This does not mean that people shouldn’t have children! The focus should not shift completely away from your husband to your children. If there are children in the house, it is difficult to make time for your husband. The kiddies are very demanding. Children should know that their parents do not love them only, but also each other. They feel more secure if they see their parents’ love for each other. However, if such love is absent or the family ties are beginning to disintegrate, the children will not feel safe. If one or both parents puts the children’s happiness above the wellbeing of the marriage, they could possibly be neglecting the needs of the marriage. This could cause feelings of resentment, neglect and estrangement from each other. The quality of the marriage relationship could also begin to deteriorate and the children will feel that a marriage is not a fun place to be. Unhappy parents can also make the children feel that they are the cause of their parents’ discontent. There is no doubt that all relationships demand sacrifice. However, sacrificing your relationship with your husband and time for yourself sends the wrong message. This tells your children that they are entitled to everything they want and that marriage is a place where you have to sacrifice yourself and your personal needs so that you can raise your children. You must therefore make sure that your children see that you regard yourself, your marriage and their wellbeing as priorities. The best we can do for our children is to be an example of a happy marriage. This will support and encourage them to have such relationships themselves some day. Become a team that speak with one voice, protect one another, pray for each other and speak well of each other in front of the children. Make sure that you and your husband spend enough time together. Without the children. Do not wait for the right moment. Schedule outings, book the babysitter, and simply make time for each other.